West 10th Dental provides composite white fillings in NYC. Call 212-982-5883 to learn more and schedule your appointment. When you have a cavity, it is vital to find it and treat it as soon as possible. Untreated cavities continue to worsen and spread, eventually requiring more complex and expensive restorations such as root canals and crowns. If it continues to go untreated, the tooth may need to be extracted and replaced with a bridge or dental implant. Fortunately, small to moderately sized cavities can generally be treated with a simple filling. A cavity is a bacteria-filled hole in your tooth. During a filling appointment, we will remove the decay and bacteria, leaving behind a clean and healthy hole. As the name suggests, a filling fills in that hole, sealing and protecting your tooth and restoring its full functionality. First, we will thoroughly numb the decayed tooth with a local anesthetic, along with the surrounding gums and bone. Once the area is fully numb, we will remove the decay with a dental drill. You will hear a lot of noise and feel some pressure, but it should not hurt. When the hole is clean and smooth, and all traces of decay are gone, we will use composite resin to fill and seal your tooth. This is very fast and simple. Composite resin is the most commonly used filling material today. It is highly durable and can easily last for many years with excellent oral hygiene. 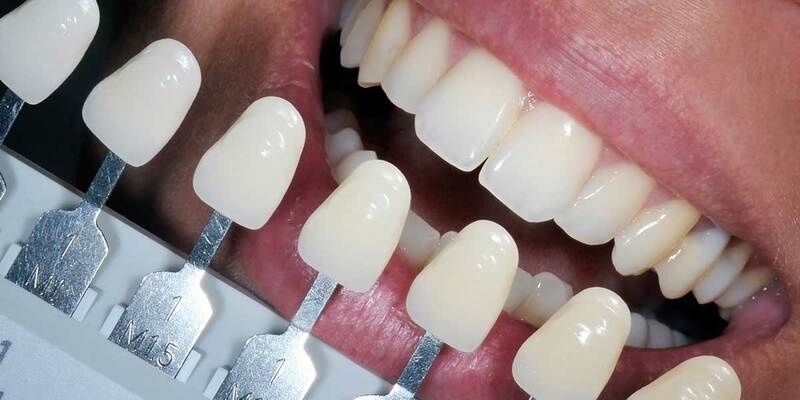 Composite resin can be precisely color matched to your tooth, so no one needs to know that you have a filling. The resin is inserted into your tooth in a paste form, allowing us to carefully shape and mold it to precisely fit the hole. It is built up in layers to further ensure evenness and blending with the rest of your tooth. When we are satisfied with the filling, we use a boding light to rapidly harden it through a process known as “photo-polymerization.” Your finished filling will be safe, durable, functional, and highly aesthetic. At one time, metal amalgam fillings were the best available solution. However, they do have a number of drawbacks. For example, they have mercury in them. Also, metal amalgams are affected by heat and cold, which can lead to sensitivity in the tooth. Dental X-rays cannot penetrate metal amalgam fillings, leaving the tooth at higher risk for future decay. In addition, metal amalgam fillings are attached through mechanical retention rather than chemically bonded to the tooth. This puts the tooth at higher risk for cracking because an undercut is required to hold the filling in place. For these reasons, we choose not to use metal amalgam fillings. We also find that most people with these fillings need to have them replaced in a decade or so due to their inherent problems. Despite all the hype about mercury in these fillings, though, we do not see the need to replace metal amalgam fillings that are still in good condition. Of course, if the filling develops a leak or you simply prefer to have it replaced, we are happy to do so.